Twenty-four people were wounded yesterday in horrific stabbings at a Pennsylvania school. Those who oppose any gun control say, “See! It’s not guns that are the problem.” They point out that a student was stabbed to death in school last September. Yet that’s only one person, compared to the thousands of people who die every year because of guns. Guns kill far more people in the United States than knives: guns cause two-thirds of the homicides whereas only 13.4% of murders result from knives or other cutting instruments. Of 37 public mass killings since 2006, 33 involved firearms, the other four being the Boston Marathon bombings, an incident involving a car, and two cases of arson. Far more suicides come from guns than sharp objects. Even worse may be the “accidental” deaths because of people’s carelessness. In Arizona, a man’s Glock pistol falls from his waistband, and his three-year-old son picks it up, shooting himself in the head and killing himself. That happened five days before Christmas last year. State Rep. Victoria Steele introduced a bill, similar to laws in 28 states, that would make it a crime to store an unsecured loaded gun where children might be. There was never a hearing. What got hearings in the Arizona legislature were speeded-up permits for specialized high-caliber weapons such as machine guns and fines for city council members who try to pass stricter gun laws than from the state. At least 32 Arizona children were killed in 2012. Fifty percent of these were by a gun that belonged to the child’s biological parent. Nationwide, at least 134 children accidentally died from gunshots in 2010, a number most likely undercounted by half because of misleading reporting and not counting seriously injured children. Like the three-year-old Arizona child who shot himself in the “lower torso” by one of the many unsecured guns in the home. Todd Rathner, a member of the NRA’s board of directors, thinks that people with guns should have the entire family trained for safety, but he doesn’t see a requirement as “the responsibility of the government.” His cop-out is that parents let their children be hurt or killed and that gun deaths shouldn’t be singled out. Actually, many laws do protect children from irresponsible parents. Fortunately, some progress—or at least a bit of holding ground—has been made in protecting people from shootings, such as a recent U.S. Supreme Court ruling. A federal law prevents people convicted of domestic violence from owning guns. Several courts, including the supposedly-liberal U.S. 9th Circuit Court of Appeals, ruled that this ban only refers to convictions that involved a “violent use of force.” In a surprising unanimous ruling, SCOTUS overturned these rulings by determining that the ban applied to everyone who pled guilty to a misdemeanor charge of DV without proof of violent acts of physical injury. Washington state now requires people with histories of domestic violence to give up their weapons if they are under no-contact or permanent restraining orders. Gun owners are allowed to participate in a hearing to contest the order. 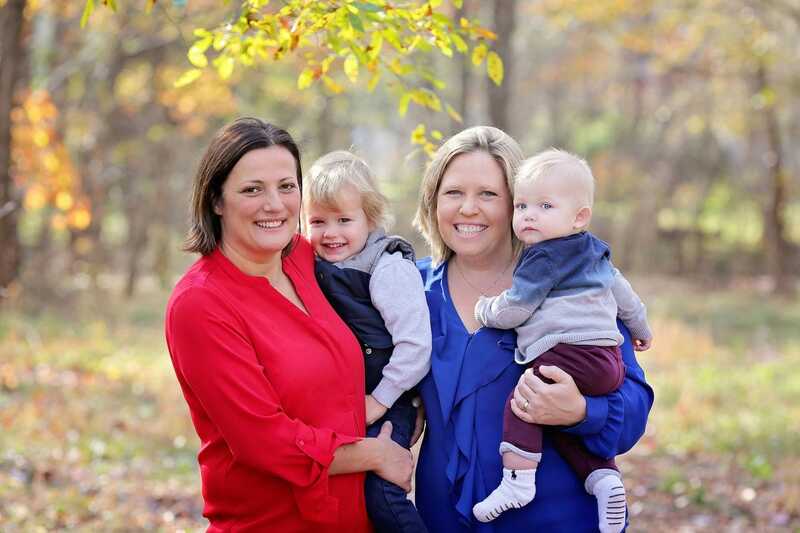 The impetus for the law, unanimously passed in both houses, came from Stephanie Holton’s telling about her husband threatening to blow off her head as he pointed a gun at her in her living room. The couple divorced after 12 years of marriage and two children with Stephanie having primary custody. When her ex-husband’s behavior because increasingly erratic, she told a friend, a police officer, who suggested that she file a police report. After her ex-husband came to her house when she wasn’t there, she asked for a protective order and told the judge that she was frightened because he had guns. Corey Holton came to the house the same day the order was served, ordered her into the house, and forced her to kneel in the living room. Fortunately, the police took him into custody with no more violence, and he has been sentenced to 75 months in prison with a lifetime no-contact order involving Stephanie. The 9th Circuit Court upheld a San Francisco ordinance requiring that people must either lock up guns or keep them on their person while at home as well as the city code that prohibits the sale of hollow-point bullets which expand inside a target. Gun owners and the NRA tried to maintain that the Second Amendment allows hollow-point bullets and unlimited gun storage. The ordinance allows people to buy hollow-point bullets outside the city and bring them back to their homes. The losers have promised to appeal. Earlier this year, the court ruled that people can carry guns outside their homes. Last month, Milwaukee (WI) County Circuit Judge Michael Guolee ruled in favor of two police officers in a lawsuit against former gun dealers and their owners who had moved for summary judgment. The case, filed by two officers injured by weapons bought from Badger Guns, is now headed for a trial. Two other officers also received a ruling to go to trial in a similar case. Badger Guns and Badger Outdoors have been top sellers of guns used in crimes recovered by Milwaukee police for more than a decade. In 2005, Badger Outdoors was the top U.S. seller of guns used in crimes with 537 weapons traced back to the company. ATF investigators recommended that the company’s license be revoked in 2006, but the store simply changed to Badger Guns because the son of Badger Outdoors’ owner obtained a new license. When ATF revoked his license for Badger Guns in 2011, his brother opened Brew City Shooters Supply in 2012. In at least 50 cases across the country, people with revoked licenses maintain a close relationship to the gun-selling operation. Congress has limited ATF’s authority to gather evidence in finding these places and closing them down. The killing of four men at Fort Hood last week brought out an uncharacteristic statement from House Speaker John Boehner (R-OH): “There’s no question that those with mental health issues should be prevented from owning weapons or being able to purchase weapons.” He thought the bill to prevent a Medicare reimbursement cut to doctors also contained funding for pilot programs studying the link between gun violence and mental illness, but it didn’t. His speech also blamed the VA for the shooting because the House wants to make it easier for the department’s secretary to fire senior officials. Fox made the same claim about Navy Yard shooting, not knowing that some of the victims were armed personnel. Keane continued to point out that soldiers aren’t trained to control and de-escalate a situation as police are. The woman who stopped the Fort Hood shooter was a trained MP. People who equate more guns with less violence are operating in an extremely simplistic fashion, assuming that every person with a gun carefully evaluates the situation and respond in a calm and appropriate manner. It’s the reverse: more guns = more violence. Making guns safer through new technology such as activation through finger prints, microchips, magnetic devices worn on the hands, a special watch, etc.? The people there had not heard of these guns but looked horrified; the NRA is fighting the sale of these guns as an infringement of the Second Amendment. The anti-legislation people couldn’t believe that the percentage of deaths from car accidents is almost identical to deaths from guns in the United States. Or that car accidents kill fewer people than guns in at least ten states. Asked about how to make life safer for people with so many guns, another person dismissed the problem by stating that each person is responsible for individual personal safety, according to one person’s conclusion. Anyone who doesn’t feel safe with the number of guns in the United States should buy one, according to an anti-legislation person. The same person said that everyone would be safe in our community, but “ladies” who go to cities and want to walk in the “bad places” would want to have a gun. In reality, the number of deaths per capita from guns in rural areas is the same as in urban areas. He also referred to the ladies who want to make jewelry out of guns. All the information shared by the anti-legislation people were personal anecdotes. My belief is that they are badly informed of the increasing gun problems in the country. At the same time, they refuse to believe any of the statistics because the NRA has told them that they are allies. They live in a bubble that avoids information and encourages the conviction that they are personally safe because they can shoot and kill anyone who brings danger into their lives. No education, no advancement. The only education I received in the meeting is that they don’t want to learn or grow. It was my last meeting with this group; I will go where people want solutions instead of the childish right to have no limitations on a tool that is designed only to kill. In the U.S., children and teenagers are four times more likely to die by gunfire than in Canada, seven times more likely than young people in Israel, and 65 times more likely than children and teenagers in the United Kingdom. Children from 5 to 14 years old are more likely to die from unintentional firearm injuries, suicides, and homicides if they live in states or regions with more rather than fewer guns. 63 percent of 8- to 12-year old boys who found a gun touched it, and 33 percent pulled the trigger, even though 90 percent had received gun safety training. Guns kill twice as many children and young people in the U.S. as cancer, five times as many than heart disease, and 15 times as many as infection. Children living in urban and rural areas in the United States are equally likely to die from gunfire. Mass shootings occur more often in rural and suburban areas. Higher rates of gun availability are correlated with higher rates of female homicide; women in the United States account for 84 percent of all female firearm victims in the world. More than twice as many women are killed by husbands or partners than are murdered by strangers who use guns, knives, or other means of killing. In 2010, nearly 6 times more women were shot and killed by husbands, boyfriends, and ex-partners than murdered by male strangers. A woman’s chances of being killed by her abuser increase more than 7 times if he has access to a gun. Women in states with higher gun ownership rates are 4.9 times more likely to be murdered by a gun than women in states with lower gun ownership rates. Two-thirds of battered women are threatened with death by an intimate partner with a gun. Women who use guns to protect themselves are more likely to go to prison than men. 40% of all legal gun sales involve private sellers and don’t require background checks. 40% of prison inmates who used guns in their crimes got them this way. 62% of online gun sellers are willing to sell to buyers who said they couldn’t pass a background check. 20% of licensed California gun dealers agreed to sell handguns to researchers posing as illegal “straw” buyers. Firearm deaths are significantly lower in states with stricter gun control legislation. The states with the highest gun ownership rates have a gun murder rate 114% higher than those with the lowest gun ownership rates. For every one percent increase in a state’s gun ownership rate, there is a nearly one percent increase in its firearm homicide rate. Firearm homicide rates are 19.5 times higher in the U.S. than in 23 other “high income” countries. Rates for other types of gun deaths are also higher in the U.S.: 5.8 times higher for firearm suicides and 5.2 times higher for unintentional firearm deaths. In 2011, nearly 10 times more people were shot and killed in arguments than by civilians trying to stop a crime. Owning a gun is linked to higher risks of homicide, suicide, and accidental death by gun. Seven assaults or murders, 11 suicide attempts, and 4 accidents involving guns in or around the home occur for every time a gun is used in self-defense in the home. The odds of assault victims being shot are 4.5 times greater if they carry a gun. The odds of being killed are 4.2 times greater. Suicide is the leading cause of death for people in the United States who purchased a handgun within the previous year. People in the United States are 20 times more likely to die from gun violence than citizens of other developed countries. Drivers who carry guns are 44% more likely than unarmed drivers to make obscene gestures at other motorists and 77% more likely to follow them aggressively. Texans who have concealed-handgun licenses and are convicted of serious crimes were sentenced for threatening someone with a firearm 4.8 times more than those without. States with Stand Your Ground and other laws have a 7 to 10% increase in homicides. Supporters of lax gun legislation cite More Guns, Less Crime (John Lott, Jr.) which the Stanford Law Review found to be lacking in statistical support. Lott is also under scrutiny for ethics violations regarding his research, and there is doubt about whether he conducted his study at all. CDC’s last funding for research on gun violence was in 1996 – to study whether homicides are more likely to occur in households where guns are kept. With NRA encouragement, Congress stopped the funding for research. H.R. 2055—the Consolidated Appropriations Act of 2012—prevents the National Institutes of Health (NIH) from using taxpayer dollars to research gun use and ownership. The United States is the only country in the world that treats gun ownership as a fundamental, human right. It’s a privilege – not a right – in every other country but the United States. Every other right the people in the U.S. have has limitations; even Justice Antonin Scalia acknowledges that gun ownership has limitations. Four years ago, the U.S. Supreme Court ruled in favor of Citizens United, allowing wealthy people to buy political legislators and judges. 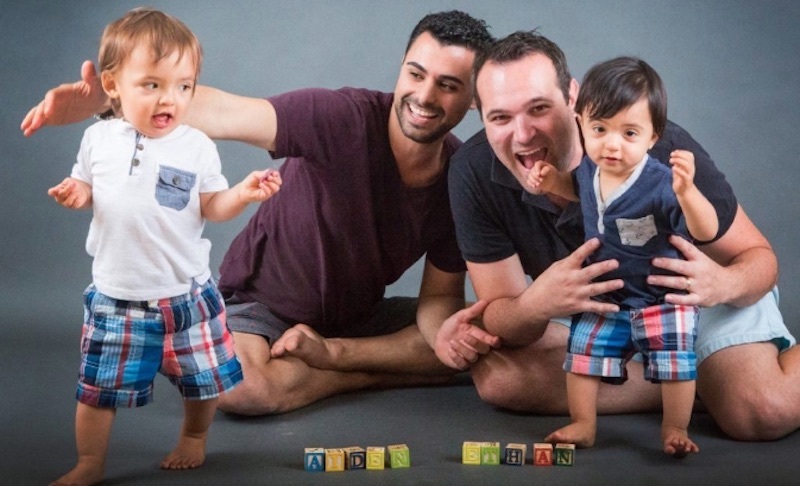 Almost a year ago, the court ruled in favor of the LGBT community but against voters’ rights. Today, they rejected two petitions from the NRA about gun rights, showing that they are waiting out the Second Amendment issue—at least for now. The NRA is not happy. SCOTUS has issued only one ruling on the Second Amendment since its decision almost six years ago that the U.S. Constitution gives individuals the right to have a gun. After the court expanded the Second Amendment beyond federal laws to state and local gun control laws a few years ago, they have stayed silent. That’s what happened today. Both the petitions that SCOTUS refused had to do with young people from 18 to 20 years old. In one of them, the NRA tried to legalize the sale of handguns to these youth, and the other case challenged Texas laws barring the same people from obtaining license for open carry outside their homes. The 5th Circuit Court of Appeals banned members of that age bracket to Second Amendment protections because SCOTUS ruled that only “responsible” people have gun rights. A third case that SCOTUS refused was against a 1968 law banning all interstate gun sales except by federally-licensed gun dealers. Lane v. Holder tried to get SCOTUS to determine if gun buyers have a legal right to challenge this law. The NRA is still not happy. SCOTUS did hear a case last month about the Domestic Violence Offender Gun Ban which prevents people convicted of DV from owning or possessing a gun. In U.S. v. Castleman, the argument is whether the law applies to Castleman because his conviction does not state whether he used physical force against the victim. Most local jurisdictions resolve misdemeanor domestic violence cases under assault and battery statutes and do not indicate whether physical force was used. The court decision will be issued by early this summer. In the United States, three women are killed every day by domestic violence. If abusers were re-armed, this number would most likely increase. According to the National Network to End Domestic Violence (NNEDV), women in the United States are 11 times more likely to be murdered with a gun than women in other high-income countries, and victims of domestic violence who live in homes with guns have an eight-fold increase in homicide risk. Facebook is one place where teens are buying guns because of lax background check laws. A 15-year-old student in Kentucky who bought a 9mm automatic pistol from an Ohio man last October took the gun to his homecoming football game because he wanted to be “cool.” Frederick Stiltner was indicted last week for the crime, but Facebook has not stopped advertising gun sales. Another reason for mandating universal background checks comes from this recent study in Missouri. In 2007, the state repealed the requirement for background checks except for federally-licensed dealers, permitting private sales through unlicensed sellers without any checks. Since that time, an average of 60 more people have been killed by firearms every year. This 23-percent increase occurs at a time when the overall murder rate in the United States is down by 5 percent. Neighboring states didn’t have any spike in murders during these years, but both Illinois and Kansas experienced increases in confiscated guns from criminals who had come from Missouri. Forty percent of Missouri’s guns are recovered in a crime within two years of the original sale. Starting in 2010, a project called Trace the Guns identified state laws and the rate of illegal guns going in and out of these states. It’s no surprise that states with the fewest gun laws and states not requiring background checks ranked higher for the number of crime guns originating from those states. At this time, only 15 states require background checks for gun purchases from unlicensed sellers. In Arkansas, 48-year-old Willie Noble shot and killed a 15-year-old girl who was egging her friend’s car for a prank in retaliation against one done by the man’s teenage son. In Florida, Marcus Leon Thompson, an off duty corrections officer, was responsible for nine injured people in a café, Shooters Waterfront, when his gun accidentally went off as he reached into his pocket for money and a valet ticket. In California, 34-year-old Brent Posada shot himself with a high-powered air rifle and then told police that a black man had shot him. In North Carolina, Justin Carper’s three-year-old son shot and injured his 17-month-old sister with Carper’s 9mm handgun. Carper writes a column on parenting advice for a local newspaper. A study found that handguns are responsible for more hospitalizations and in-hospital deaths than any other type of weapon. In Michigan, a man shot and killed himself when he was teaching his girlfriend gun safety. He had three pistols and put them to his head, one by one. The gun went off with the third gun. In January, 62-year-old Rodney Bruce Black shot and killed his new neighbor and the neighbor’s brother in West Virginia. The afternoon that they were killed, the two men were inspecting property that one of the men had just purchased. Police took a “large amount” of weapons and ammo from Black’s home. The people above would fit into NRA Wayne Pierre’s definition of a “good guy with a gun,” those people who wants to protect the U.S. citizens. One “good guy” is 37-year-old Marlo Ellis who was armed with a pistol in the Dollar Store in Orville (AL). When another 37-year-old, Kevin McLaughlin, came into the store and used his gun to force Ellis and a cashier towards a break room, Ellis shot and killed McLaughlin. There was no mention of robbery, just an angry argument. Watch the NRA go ballistic. Boston Mayor Walsh plans a gun buyback in the city after a 14-year-old boy accidentally shot and killed his 9-year-old brother. Will the NRA now say that “guns don’t kill people”? Will the gun lobbying group now say that 14-year-olds kill people—accidentally, of course? Last Friday, the teenager, unidentified because of his age, was charged with involuntary manslaughter and unlawful possession of a firearm. The police found the teen after he fled the scene, possibly in panic. The boy was described as remorseful and frightened. Walsh’s plans in coordination with newly appointed police commissioner William Evans occur at the same time that Boston has had a spike in gun-related homicides. The eight killings by gun since February 2 are four times as many as in the same time period last year. “Most simply, too many tragedies occur because guns are purchased or owned without giving proper weight to the risks of bringing guns into the home and unsafe access to those guns. “This isn’t a gun issue. It’s a responsibility issue. Thousands of tragedies, in homes across our country could be prevented every year if parents and others had more responsible attitudes and behaviors, based on the real risks around guns in the home. “And to address this responsibility issue, we need major public awareness and education campaigns. We need to start a new national conversation that makes responsible choices about guns part of what it means to be a responsible parent, spouse or friend. This buyback plan, as all other gun-control plans, will be attacked. Thomas Nolan, a former 27-year Boston cop who teaches criminal justice at the State University of New York at Plattsburgh, described the gun buyback as “gimmicky” because people who use weapons in violent crimes won’t surrender their weapons. The question is whether he was talking about the family of the 9-year-old dead boy. On the other hand, John Firman, director of research for the International Association of Chiefs of Police, supports Walsh’s actions. He said that gun buybacks are to raise community awareness for people who want to turn in unwanted guns and added that these programs are highly important for people in domestic violence situations who want to remove guns from their homes. The argument that people won’t turn in guns has become very tired. Law enforcement campaigns to find people who aren’t wearing seatbelts and who are driving under the influence of alcohol don’t expect to totally eradicate traffic fatalities. Not every accident can be prevented, but the number of traffic fatalities is shrinking because of restrictions. The number of deaths by guns in the United States continues unabated. Those in opposition to the gun buyback will also rant that the Second Amendment in the U.S. Constitution is the only one that should have no restrictions. Free speech is limited to protect human life, and the right to assemble has controls. In many cases, the protection against search and seizure is abridged, and other amendments have restrictions. Legally, gun ownership can have the same accountability. After Tucson tried to destroy guns obtained through a buyback program, the NRA succeeded in persuading the state legislature to pass a law preventing any destruction of weapons obtained by state law enforcement and other government agencies. Instead, these guns that were taken off the streets must then be sold to a federal firearms licensed dealer. At this time, however, guns obtained through private buyback programs can be destroyed. In desperation, the NRA is pushing sales to women and children because the organization benefits financially from every gun sold in the United States. 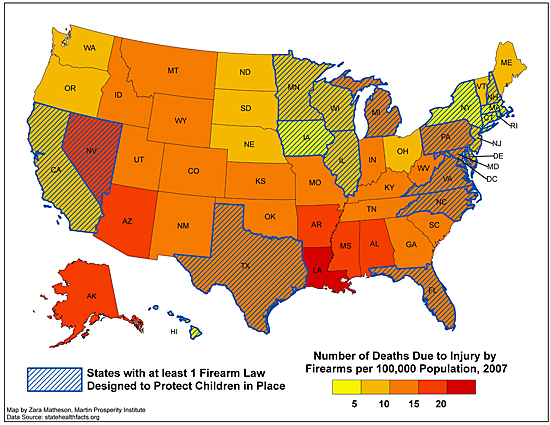 The result is thousands of shootings by children as shown in the website, http://kidshootings.blogspot.com/. 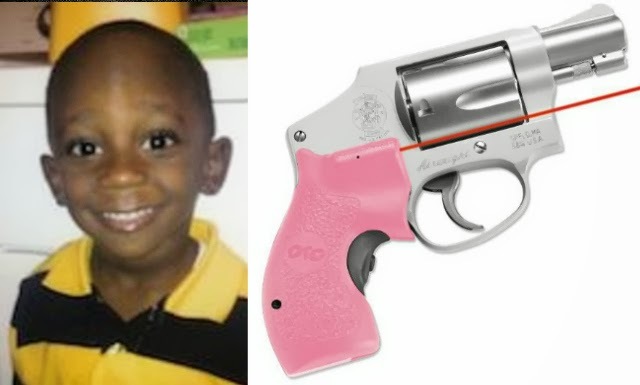 Just one example is three-year old Temorej Smith who was playing with a pretty pink gun in Greenville (SC) after he and his 7-year old sister found it in the bedroom. Temorej fatally shot himself in the head. Another blog reports many of the shootings across the United States including one by a Utah police officer. In January, Joshua Boren, 37, shot and killed his wife, Kelly; his 7-year old son, Joshua; his 5-year old daughter, Haley; and his 55-year old mother-in-law, Marie King, before he killed himself. They had just come back from Disneyland. Most people who continue to glory in their gun ownership and promote the myth that their guns will protect them cannot be persuaded that changes must be made. They suffer from the delusion that all gun owners are responsible people and would never leave their guns lying around and available to children. They would never admit the possibility that their guns could be stolen by criminals. Thus they will continue to write their pathetic responses to the pleas for making the country safer for all. Hard-core gun owners who collect large numbers of weapons may not change their need to own these personal “toys” until they lose those important to them through shootings. Even then, they may become more embittered, convinced that more guns would have stopped the losses. Hatred, racism, paranoia, and selfishness fuel the people who want to allow everyone in the country to own guns, the people who think that felons and the mentally imbalanced should have the right to purchase guns. These are the people who fight background checks and legal restrictions on gun ownership. Some of them are the people who plan to use their arsenals to overtake the government if they don’t like the laws that legislature passes. In many cases their arguments come from a “fact sheet’ to fight any gun control. A person who attended a recent Ceasefire Oregon meeting commented that the six men opposing Oregon’s proposal of universal gun background checks had brought printed copies of talking points for their arguments. These are the same people who accuse the opposition of being “sheep,” merely the ignorant following the ignorant. The “fact sheet” shows where they get their ideas. An advertisement for a book in the document begins, “Everyone lies.” This statement was a major argument those at the meeting who opposed background checks. It’s a simple tactic because it stops all discussion. The document begins: “There is no such thing as an assault weapon.” Again, this statement is designed to get people off the topic of background checks or other gun control. The vast majority of the sources in the document are between one and three decades old. Most of them come from the 1990s, including the statistic on school shootings. The rationale for not having gun buybacks is dated 1997—sixteen years ago. The statement that only five children died from accidental shootings in 2001 has no relevance in 2014 when that number has occurred in fewer than two months. In combating evidence that background checks stop suicides, the document cites the fact but not information that refutes it. Maybe the worst was comparing homicide rates in the United Kingdom between 1919 and 1986 to prove that the country doesn’t need gun control. Documents like this one do a disservice because it lies to the readers, readers who then use these invalid statements to respond to blogs–including this one. “If there were killers wandering America, randomly shooting kids in their classrooms, stalking our sons and daughters on their high school and college campuses—and if the government refused to help— surely we would rise up and march on Washington, demanding action. If the shameful toll of gun violence in our country is any indication, it is time to rise up, in fact way past time…. “We all know the rap of the National Rifle Association folks: Second Amendment rights are sacrosanct; guns don’t kill people; better enforcement of existing gun laws would solve the problem. This mantra is repeated ad nauseum, stonewalling any effort to pass reasonable laws that would keep guns out of the hands of felons and the mentally ill…. It’s time that reasonable, responsible people take the country back from the NRA and its mindless followers. The U.S. House members aren’t in session right now except to have hearings haranguing Secretary of Health Kathryn Sebelius about the problems with Obamacare’s website. They come back next Tuesday for the month’s eight days of work—technically six days because there are no votes before 6:30 pm the first day of their week and none after 3:30 pm the last day. After their scheduled eight days in December, they can breathe a sigh of relief as they get onto the planes running on time because they tweaked sequester laws for personal benefit. Fortunately, thanks to Rep. Pete Sessions (R-TX), chair of the Rules Committee, we know the complete House agenda. “Everything we do in this body should be about messaging to win back the Senate,” he said. “That’s it.” At least, the House has a wider agenda than the Senate. Minority Leader Sen. Mitch McConnell (R-KY) announced in 2008, a nanosecond after President Obama was elected for the first time, that his entire agenda was to see that the president wasn’t re-elected. He failed which means that he has nothing on his agenda now except to get himself re-elected. For the rest of the 113th Congress—which still has another year after the end of this one—the voters who elected the obstructionists will see no movement on any issues– immigration, gun control, anti-discrimination laws like ENDA, tax reform, lifting the sequester …. The list goes on. The farm bill may have to operate on a half-century-old law because the House won’t compromise with the Senate. We can forget about any results from the joint House and Senate committee’s budget proposal due by December 7 with a January 15, 2014 deadline for acceptance. “A new study released today indicates that Americans are safe from the threat of gun violence except in schools, malls, airports, movie theatres, workplaces, streets, and their own homes. Also: highways, turnpikes, libraries, places of worship, parks, universities, restaurants, post offices, and cars. Plus: driveways, garages, gyms, stores, military bases—and a host of other buildings, structures, and sites. Black humor aside, the NRA made it easier for a gunman to kill a TSA agent and wound six others at a LAX security checkpoint a week ago. It was the second airport shooting in six months. The NRA has consistently campaigned for firearms to be brought into airports with greater ease and criticized security for any efforts to block guns on airplanes. Although federal law prevents travelers from taking firearms past checkpoints, many state laws allow people to carry guns before they reach security checkpoints because of NRA propaganda. Indiana, Kentucky, Louisiana, Massachusetts, Michigan, Missouri, Oregon, Utah, Washington, and Wisconsin either permit firearms in areas of airports or prohibit them only past checkpoints. In California, where the most recent airport shooting occurred, the NRA fought 2012’s Assembly Bill 2182, requiring the arrest of people who bring guns into airports and banning them from entering airports after that arrest. Thanks to the NRA, the bill stayed in committee. Virginia, Georgia, and Ohio have recently introduced bills that would allow people to carry firearms in airports. After a TSA agent questioned a girl carrying a firearm-shaped purse, the NRA cried harassment. Yet TSA agents confiscated 30 percent more guns, many loaded, in 2013 than the previous year. Most of them said that they “forgot” they had them, which means that the presence of guns in our society is almost everywhere. The week before the LAX shooting, the TSA found 29 firearms—27 of them loaded. The week before, the take was 39 firearms. The NRA also gives candidates “A” rating for supporting guns in airports. The group spent more than $500,000 to make Ken Cuccinelli governor of Virginia after he voted against a 2004 bill that would have banned guns in airport terminals. The bill won, and Cuccinelli lost. The NRA may argue that looser gun laws would have stopped the LAX shooting because a bystander would have shot the gunman. That doesn’t really work, as history has shown. Rep. Renee Ellmers (R-KS) lost her AR-15 after she left it leaning against a locker in her unlocked garage. Missouri House staffer Dave Evans left his loaded gun in the men’s restroom of the State Capital Building. Someone lost a loaded gun under a chair cushion in a New York hotel, and another left one on a ride at Disney World. A nine-year-old boy found a loaded semi-automatic gun in the men’s room of a movie theater in Tampa (FL), and seventh-graders found another one in another movie theater in Tillamook (OR). An armed guard left his loaded weapon in a public restroom at a Texas convenience store. Two loaded guns were left in a tent outside a Georgia furniture store. Another gun was in a Dallas (TX) courthouse restroom. Gun owners held a gun legalization rally in Ohio in September to prove that gun owners are responsible. Someone left a loaded magazine behind in Oberlin’s Park Street Park after the rally. Guns show up in public buildings, restrooms, garages, homes—everywhere. All this means that kids can find guns in restrooms or on a Disney ride or while sitting on a chair in a hotel. Three fifth-graders even found a loaded gun at an archaeological dig. Criminals might be more responsible in knowing how stupid and careless these gun owners are. In Cincinnati (OH) a man found a note in his car: “LOADED GUN: Unlocked Car = STUPID” and “LOTS OF Children in Area.” Missing were the man’s “throwing knife, sheath, .40 caliber pistol and magazines.” The man had left his Toyota Corolla unlocked. In at least one North Carolina state-mandated concealed carry handgun (CCH) class, necessary to get a CCH permit in the state, a law enforcement officer told attendees to store loaded guns under the bed. The state doesn’t monitor these classes to see how they are run. When a seventh-grader shot a teacher, two 12-year-old boys, and himself at a school in Sparks (NV), major cable news channels referred to the disaster only briefly throughout the day. The breaking news event that day was the release of Apple’s new iPad and iPad mini. The shooting was the 15th school shooting of the year but the first time that the new technology had gone on the market. http://www.orlandosentinel.com/news/os-sanford-neighborhood-watch-guns-20131104,0,7629896.story I had some hope when the Sanford (FL) Police Department banned Neighborhood Watch members from carrying guns after George Zimmerman stalked and killed Trayvon Martin. Protests forced them to back down on the new policy and move to “recommending” that people leave their guns at home while looking for danger around them. Borowitz needs to add neighborhoods and archaeological digs to the places where people aren’t safe from gun violence. Ho-hum. There was another mass shooting a few days ago, this one killing 13 people. It’s business as usual in the gun culture of the United States. This time, a veteran and defense-industry employee got into the Washington Navy Yard in the nation’s capital by using his pass. No particular outrage—just the customary stupid responses from the right. Alex Jones said it’s all a fake, the same thing he said about earlier mass shootings and the Boston bombing. Elisabeth Hasselbeck, who has moved from The View to Fox network, thinks that a solution is to ban video games. Rep. Louie Gohmert (R-TX) said, “Blaming this on guns is like saying the big problem with obesity is we’ve got too many spoons.” CNN was back to doing its dance around the facts although this time, they would say that they might be getting in the information wrong after every report. The conservative Reds are screaming that the carnage happened because the Navy Yard is a “gun free zone.” As usual, they got it wrong: only civilians there were not permitted to carry guns. They also skipped the fact that the first person killed was an armed security guard, that “internal security” immediately began firing at the gunman, and that local police officers arrived within two or three minutes. Not one mass shooting in the past 30 years has been stopped by an armed civilian. Fewer than one-fourth of the mass shootings in the past four years occurred in “gun free zones.” And there is not one shred of evidence that shooters targeted places where guns were prohibited. Then conservatives decided to blame President Clinton for a policy approved during the that George H.W. Bush administration. A study by the New York Times shows that highly trained New York City police officers who discharged their guns in public hit their intended targets only 34 percent of the time. That means that these police officers miss their targets two-thirds of the time. Last Saturday evening, police were aiming at a mentally disturbed man walking in and out of traffic but shot two innocent bystanders. One of the women, using a walker, was shot in her knee. Today, a man in Michigan suffering from road rage fired at another car. The second man shot back. The result is two more funerals. The Navy Yard killings happened nine months and two days after the mass shooting at Sandy Hook Elementary School in Newtown (CT) killed 26 people. On the same day, a crazed man in China attacked children in an elementary school. During that massacre, 22 children were seriously injured, but none was killed. The man had a machete, not a gun. The U.S. shooter had a military-grade weapon capable of firing a bullet every two seconds. Details about Aaron Alexis, the 34-year-old shooter, show that he had been suffering from “a host of serious mental issues, including paranoia and a sleep disorder” and reported hearing “voices in his head.” He was involved in at least two incidents involving a gun while in the Navy and was discharged in January 2011. His “pattern of misconduct” ended his military career but didn’t stop him from legally carrying guns. He got a concealed carry permit from Texas and bought a shotgun in Virginia because the two states honor each other’s gun licenses. Washington, D.C. has tough gun laws, which means that 98.2 percent of all guns used for crime in the District come from states with weaker gun laws, including Virginia just across the Potomac River. At least 17 mass murders, defined by the FBI as the slaying of four or more people, have occurred thus far this year. Shootings related to drug or gang violence don’t get the publicity as one gunman. HuffPost prepared the following graphic from news sources, including Reddit’s community-generated database of mass shootings. There may be more, but NRA pressure keeps the government from compiling statistics. It includes killing sprees that occurred in more than one location, but the ones that happen on more than one day, such as the string of homicides committed by ex-cop Christopher Dorner in Los Angeles, aren’t listed. Guns have killed about 24,580 Americans since Newtown, according to Slate’s estimate based on data from the Centers for Disease Control and Prevention; we’re pretty much on target for the annual 30,000+ deaths. According to the Center for Disease Control (CDC) and Google, the fifth most frequent cause of death in the United States is “unintentional injuries”–including those inflicted by guns. The tenth most frequent cause of death in the country is suicide, including those involving guns. And the 16th most frequent cause of death in the country is homicide, including many murders-by-gun. Those figures are on a par with people in the nation who die from cancer and heart disease. People in the U.S. have far greater odds of getting killed by other people in the country than by terrorists—about one in 20 million. The number is greater in areas that have more gun ownership. Boston University’s School of Public Health has released the results of a new study showing a connection between gun ownership and gun violence. Published in the American Journal of Public Health, the study found a direct correlation between gun ownership rates and homicides in the U.S.
Conservatives and the NRA have attempted to show that stricter gun laws did not lead to fewer “intentional deaths.” Breitbart.com columnist AWR Hawkins cited a Harvard University study from Europe. It listed Eastern Europe and Scandinavia but skipped countries such as the UK, Italy, Portugal, and Spain; much of it concentrates on homicide rates in the U.S. and Russia. Don B. Kates and Gary Mauser, authors of the study, have a history of bias in their connections to organizations and their opposition to gun control legislation. Over the three decades, the mean estimated percentage of gun ownership ranged from a low of 25.8 percent in Hawaii to a high of 76.8 percent in Mississippi, with an average over all states of 57.7 percent. The mean age-adjusted firearm homicide rate ranged from a low of 0.9 per 100,000 population in New Hampshire to a high of 10.8 per 100,000 in Louisiana over the three decades, with an average for all states of 4 per 100,000. For all states, the average firearm homicide rate decreased from 5.2 per 100,000 in 1981 to 3.5 per 100,000 in 2010. Other studies show that a gun in the home increases the incidence of suicide, particularly for young people. According to another new study conducted by researchers at the Harvard School of Public Health and published in the American Journal of Epidemiology, the strongest predictor of how likely a person is to die from suicide within a given state is whether they have a gun in the home. Guns don’t increase the number of attempts; they just increase the risk of succeeding. Victims who attempt suicide using pills or cutting are 100 times more likely to survive, said Dr. Matthew Miller, the study’s author, whereas “you don’t get a second chance when you use a gun.” Less than 10 of suicide survivors make another attempt. Nearly one in five people under 21 who are at risk for suicide have guns in their homes. The irony of Monday’s shooting is that a Senate hearing on gun laws had to be postponed. The mothers of two Florida teenage boys slain by gunfire were slated to testify about their opposition to their state’s infamous “Stand Your Ground” law. The hearing has yet to be rescheduled. One woman is the mother of Trayvon Martin, killed by George Zimmerman; the other woman’s child is 17-year-old Jordan Davis, who died after an intoxicated man fired into the back of a SUV because he didn’t like the music. The killer said he didn’t know anyone had died until the next morning. Schultz is one of the good guys. He supports marriage equality, suggesting that opponents can just sell their Starbucks stock. He also openly supports raising the minimum wage and has stated that Starbucks has no intention of cutting workers’ hours or employee benefits in response to Obamacare. As some gun owners pointed out, extremists are ruining gun ownership for everyone else. Twenty-eight people died of gun violence because of one armed young man only six months ago today. The flurry of attempts to reduce further gun violence in the United States gave some people hope that it would happen, but NRA knew that interest would fade if they stood their ground. Yet the people in Newtown (CT) where 20 children and six educators were gunned down in that massacre haven’t quit. Today they held a remembrance that included reading the names of the more than 5,000 people in the country killed with guns which is expected to take 12 hours. Mayors against Illegal Guns has launched a bus tour through 25 states during the next 100 days to build support for expanded background checks for gun buyers, the legislation that failed in the Senate two months ago. Relatives of victims have gone to Washington, D.C. to lobby for gun control legislation although some of the legislators refuse to meet with them. Bornman’s public defender, Gary Weinberger, thinks that his client is not really that dangerous. When Bornman is released from the Colorado prison, he can drop into adjacent Nevada, where the state legislature just passed a bill to close the gun-show loophole by requiring background checks on gun purchases, including private transactions. They followed the wishes of 86 percent of people in Nevada. Bornman could get a gun in Nevada, however, because Gov. Brian Sandoval (R) vetoed the bill, claiming it would do “little to prevent criminals from unlawfully obtaining firearms.” Another provision of the vetoed bill would require Nevada courts to submit information about mentally ill legal defendants to a national clearinghouse for all new gun purchases within five business days after the finding. Some gun enthusiasts claiming that the Second Amendment gives everyone the right to own guns and ammunition are trying to stop the U.S. government from having them. Rep. Jeff Duncan (R-SC), chair of the House Homeland Security oversight subcommittee, is confused about why IRS law enforcement agents would train with AR-15 rifles. He said, “It’s been bugging me for weeks now, why IRS agents are training with a semi-automatic rifle AR-15, which has stand-off capability. Are Americans that much of a target that you need that kind of capability?” These are exactly my sentiments for the ordinary U.S. citizen. Fighting potentially violent criminals has been part of IRS agents’ job for 90 years; their jurisdiction includes “tax, money laundering and Bank Secrecy Act laws.” The IRS guidelines for training its agents on semi-automatic rifles occurred in 2003 under George W. Bush’s watch. Since the Newtown massacre, the House has passed one piece of gun control legislation. By a vote of 234-192, the House voted last week to stop DHS from buying any more ammunition until they submit reports on the need for this to Congress. Sen. Jim Inhofe (R-OK) has proposed a similar measure in Congress’s other chamber. During the past six months, gun violence has killed an average of 28 people each day, more than the number of U.S. military members killed during the Iraq War. In the last 30 years, 62 mass shootings occurred in thirty different states, making an average of two each year. Twenty-five of them happened since 2006—seven of them last year with 140 victims. Mother Jones has tracked these on an interactive map. During the past four years, the U.S. averaged over one mass shooting per month. 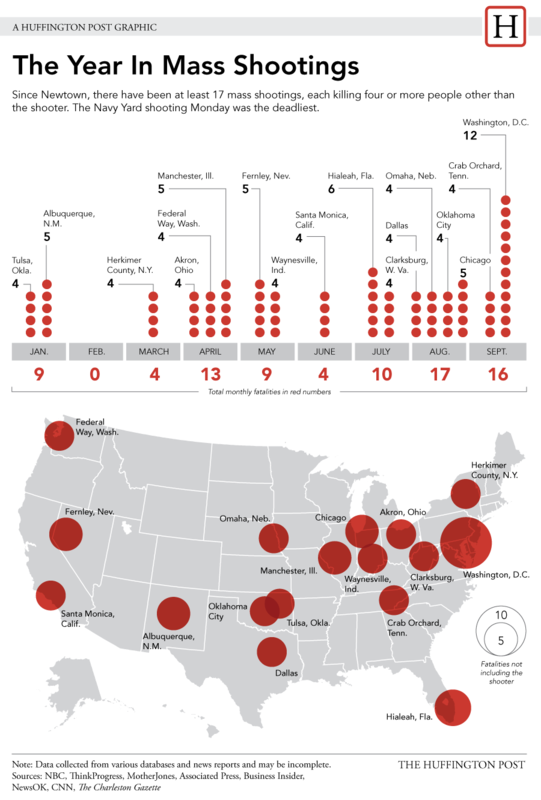 In the last six months, there have been at least 14 mass shootings—over two each month. An interactive map of the nation, pinpointing these shootings, is available here. Weapons: The killers possessed 143 weapons, more than three quarters obtained legally, including dozens of assault weapons and semi-automatic handguns with high-capacity magazines. Locations: More than half of the cases involved school or workplace shootings (12 and 20, respectively); the other 30 cases took place in locations such as shopping malls, restaurants, and religious and government buildings. Killers: Forty four were white males; only one was a woman. The average age of the killers was 35, with the youngest 11 years old. A majority had demonstrated being mentally troubled before they killed. Not once was the killing stopped by a civilian using a gun. In other recent rampages, civilians who tried to intervene not only failed but also were seriously wounded or killed. Even the police don’t have a good record: New York City police officers trained in counterterrorism wounded nine innocent bystanders when confronting a gunman at the Empire State Building. Without registration, no one knows exactly how many guns are in private hands, but estimates indicate about 200 million privately-owned guns in 1995, a number that has increased 50 percent in the past 18 years to 300 million. During the same time, the U.S. population grew by only 20 percent. Yet fewer households have guns: 40 percent of them had weapons in the past decade compared to 50 percent in the 1980s. During the last four years, the NRA and its political allies have pushed through 99 laws in 37 states making guns easier to own, carry, and conceal from the government. Eight states permit guns in bars, even when the carrier is intoxicated. Five states allow concealed weapons on college campuses. Kansas permit holders can carry concealed weapons inside K-12 schools, and Louisiana permits guns in houses of worship. Eighty percent of states now recognize handgun permits from at least some other states. At least one educator is making a different in the gun control issue. Believing that children who play with toy guns become desensitized, making it easier for them to use real guns later, Strobridge Elementary School (CA) Principal Charles Hill organized a toy gun exchange. Gun rights enthusiasts claim that toy guns are painted in “bright colors,” making it impossible for them to be mistaken for a real gun, but “real guns” are also painted in such colors as bright pink and blue. About 75 children traded their guns for books and a chance on four bicycles. Until 1996, Australia had the same lax attitude toward gun ownership that the United States does. After 35 people were killed in a massacre on April 28 of that year, Australia passed restrictive gun controls, requiring a “genuine reason” for permits and prohibiting gun ownership for convicted felons and those with mental illness. The rate of homicides involving firearms per 100,000 population in 2009 was 0.1 in Australia, as compared with 3.3 in the United States.The rate of unintentional deaths involving firearms in 2001 was 0.09, compared with 0.27 in the United States. Only Latin America has a higher death rate from guns than the United States. Despite the GOP stranglehold on the House, there may be hope for a change in our country’s gun culture. Following is a summary of “9 Reasons Why Progress on Stronger Gun Laws Is Within Reach” from the Center for American Progress. Authors are Arkadi Gerney, Senior Fellow at the Center for American Progress, and Chelsea Parsons, Associate Director for Crime and Firearms Policy at the Center. As always, the original article has far more information; you may want to refer to it. The horrible massacre at Sandy Hook Elementary School in Newton (CT) brought hope for a shift in the country’s laissez-faire approach toward gun ownership. This killing of 28 people appeared to be a tipping point in the United States’ attitude toward violence. Yet discouragement followed the failure of a bipartisan amendment introduced in the Senate by Pat Toomey (R-PA) and Joe Manchin (D-WV). That vote, one month ago today, garnered 54 votes, but the GOP demanded 60 out of 100 votes for a simple majority for the amendment to expand gun background checks to all gun shows, online purchases, and advertised sales. Swing-state momentum: Mayors against Illegal Guns has worked to build a coalition of mayors, over 150 in Pennsylvania alone, to change the gun culture of the states. CeasefirePA, has also built a vast network of grassroots supporters in Pennsylvania. A group of survivors and family members of victims from the 1999 Columbine High School mass shooting have teamed with local mayors and other advocates in Colorado to advance gun-violence-prevention legislation. In his campaign against Sen. Michael Bennet (D-CO), Ken Buck found his extreme pro-gun position became a liability. Even Virginia made small progress. Evolving demographics: A culture shift on guns in the United States is evidenced by the declining percentage of households with guns, down to 34 percent from 50 percent in the 1970s, driven by declining gun-ownership among young people. Household gun-ownership rates among people under 30 fell to 23 percent in 2012 from a high of 47 percent in the 1970s. The same young people evidence increasing concerns about the widespread presence of guns in society. Fifty-two percent said that they feel safer in communities with fewer guns, and 60 percent expressed concern that gun violence may affect them or their communities in the future. A new center of gravity: Mayors against Illegal Guns started with 15 mayors seven years ago and grown to almost 1,000 mayors with 1.5 million grassroots supporters. Survivors of gun violence are becoming more organized. Former Rep. Gabby Giffords (D-AZ) and her husband Mark Kelly recently formed Americans for Responsible Solutions to advocate for stronger gun laws and contest the 2014 elections, and affected families from Newtown have also organized. The NRA’s path not followed: Once a sportsmen’s organization focusing on marksmanship and hunting, NRA has been taken over by hardliners determined to establish the organization as a premier ideological advocacy group. NRA’s response to the 1999 shooting at Columbine was support for “absolutely gun-free, zero-tolerance, totally safe schools.” Thirteen years ago after the Newtown shooting, the NRA demanded guns in every school. Senate Majority Leader Harry Reid (D-NV), who once scored high with the NRA, came out against them in the background checks as did seven other NRA A-rated senators: Sens. Bob Casey (D-PA); Joe Donnelly (D-IN); Martin Heinrich (D-NM); Joe Manchin (D-WV); John Tester (D-MT); Pat Toomey (R-PA); and Mark Warner (D-VA). Democrats and progressives are re-engaged: Since 1994 when Democrats lost the entire Congress, with the idea that it was connected to their votes on the assault-weapons ban, lawmakers adopted the myth of the NRA’s electoral omnipotence. Democrats’ fear of the gun issue brought passivity and then abuse from the NRA. The series of mass killings in the United States resulted in cracks, and the Newtown killings may have broken the orthodoxy of avoiding guns. President Obama, Vice President Joe Biden, Reid, and House Minority Leader Nancy Pelosi (D-CA) again made fighting gun crime a priority and reducing gun violence a Democratic tenet. Recent election results: The NRA spent more than $17 million in the 2012 election but got only a 1-percent return on its investment. More than 99 cents of every dollar went to losing campaigns. The reverse was true. Heavily-favored pro-gun advocates such as former Reps. Joe Baca (D-CA) and Debbie Halvorson (D-IL) both lost their recent elections with the opposition of groups who urged tighter gun laws. Closing the intensity gap: In an interview with Jon Stewart, former Sen. Olympia Snowe (R-ME) said that communication from constituents can sway a lawmaker’s vote. A Fox News poll conducted days after the vote showed that three times as many people in the United States—68 percent—said that they were likely to support a candidate who voted for expanded background checks. This polling was supported by those for specific senators. Kelly Ayotte (R-NH) lost 15 points in her rating, and 50 percent of New Hampshire residents said that her vote against background checks made them less likely to support her. At the same time Pat Toomey’s (R-PA) approval rating rose to its highest level ever. Other opponents–Mark Begich (D-AK), Jeff Flake (R-AZ), Dean Heller (R-NV), Lisa Murkowksi (R-AK), and Rob Portman (R-OH)—all saw declines in public support in the wake of their votes against the checks. The numbers: Gun violence, both mass shootings and everyday gun massacres, is not abating; it’s a problem distinct to the United States, linked to lax laws that give criminals and other dangerous people easy access to guns. 33: The average number of people murdered with a gun in the United States every day. 283: The average number of people shot in the United States every day. 40: The average number of children and teenagers shot in the United States every day. 10 times higher: The accidental-firearms death rate among children in the United States compared to other high-income countries. 31,000: The average number of homicides, suicides, and fatal accidents involving firearms in the United States every year. 6.9 times higher: The homicide rate of the United States compared to 22 high-income countries. 85 percent: The percentage of attempted suicides with a gun in the United States that result in fatalities. 8 times higher: The firearm suicide rate among children in the United States compared to other high-income countries. 500 percent: The percentage that the risk of homicide increases when a gun is present in a domestic-violence situation. 57 percent: The percentage of mass shootings that began with the targeting of a girlfriend, spouse, or former intimate partner. 63: The number of U.S. law-enforcement officers killed with firearms in 2011. 6.6 million: The estimated number of guns sold each year in the United States without a background check. 80 percent: The percentage of convicted criminals who acquired the guns used in their crimes through a private transfer. 90 seconds: The amount of time it takes to complete 91 percent of background checks. 38 percent lower: The number of women killed with a firearm by an intimate partner in states that require background checks for all handgun sales, compared to states that do not require such background checks. 2.5 times higher: The average export rate of crime guns in states that do not require background checks for all handgun sales at gun shows, compared to states that do require such background checks. Conclusion: The Senate vote one month ago today was only the first round in the newly invigorated movement for common-sense legislation to reduce gun violence in our country. President Obama said, “We can still bring about meaningful changes that reduce gun violence, so long as the American people don’t give up on it.” There are many reasons to be hopeful with strong leadership in the White House, courageous lawmakers in Congress, and well-organized and passionate grassroots advocates. With overwhelming public support, we will succeed in enacting measures to prevent gun violence and make all of our communities safer. Making background checks universal. Congress should require every single gun owner to go through a proper background check to determine any criminal history or diagnosed mental illness. That would include everyone purchasing guns at gun shows and from private buyers, whether the weapons are new or used. Improving state reporting of criminals and the mentally ill. States should receive more money to enter this data into the National Instant Criminal Background Check System (NICS) so that they cannot use this as an excuse and receive stronger guidelines so they know what data should be entered. Banning assault weapons. Congress should reinstate the 1994 Assault Weapons Ban, which outlaws military-grade weapons, like the AR-15 used by Newtown gunman Adam Lanza and by Aurora Theater gunman James Holmes as well as closing any loopholes identified in the 1994 law. Capping magazine clip capacity at 10 bullets. Congress should ban not only military-grade weapons but also all extended magazine clips that hold over 10 bullets. This ban was also part of the 1994 Assault Weapons Ban. Purging armor-piercing bullets. Congress should ban the possession and transfer of these “cop killer bullets.” Current sales are banned but nothing else. Funding police officers. Congress should reverse its course of austerity for public employees by approving $4 billion to fund police enforcement around the country. Strengthening gun tracking. The president will issue a memorandum mandating that all agencies trace back firearms to their original owners to collect data for the source of weapons used in crimes. Congress should also allow law enforcement to do background checks on guns seized during investigations. Supporting research on gun violence. The president hopes to gather data on gun violence and misuse of firearms in order to inform the work of law enforcement. He also wants to restart research, long blocked by the NRA, on how video games, the media, and violence affect violent gun crimes. The Centers for Disease Control will immediately begin these efforts, but Congress should add $10 million to the pot of funding for such research. Encouraging mental health providers to get involved. The president will encourage mental health professionals to alert people with homicidal thoughts to keep these people from gaining access to weapons. Doing so is not in violation of patient privacy laws. The president also wants medical professionals to know that Obamacare does not prevent doctors from talking to patients about guns. Promoting safe gun ownership. The White House will start a “responsible gun ownership” campaign to encourage gun owners to lock up their firearms, and the president will also work with the Consumer Product Safety Commission to make sure safes and gun locks on the market are effective. He is also calling on the justice department to help him come up with new gun safety technology. Funding school counseling. Congress should fund the positions of 1,000 news school counselors through both the existing COPS Hiring Grant and a new Comprehensive School Safety program with $150 million in additional funding for new school counselors and social workers. Encouraging safe, anti-bullying school environments. The president wants over 8,000 schools to receive $50 million in new funding to encourage safer school environments, help at-risk students by collecting data on what services students need, and remedy other problems through putting professionals in schools. He will also issue guidelines on school discipline policies. Recognizing the mental health needs of low-income Americans. The president wants to expand Medicaid so that low-income recipients have the same access to professional help as those who have money to pay for it. Obama will issue a directive to heads of state health programs, enforcing “mental health parity” — the idea that mental health should be treated as a priority as important as physical health. Although President Obama has issued fewer executive orders than any other president, his speech today resulted in a high level of rage among the right-wing politicians and pundits. As usual when these conservatives speak of the president, they use comparisons to dictators such as Adolf Hitler, Josef Stalin, and Saddam Hussein. Rep. Steve Stockman (R-TX) plans to introduce articles of impeachment, calling Obama’s anti-gun violence efforts “an existential threat to this nation.” Rep. Trey Radel (R-FL) agreed that impeachment “should be on the table” and falsely claimed that Obama wants an executive order to “ban guns.” Even Former Attorney General Edwin Meese (R) is dragging the Heritage Foundation into the impeachment threat. There are new measures pending in the South Carolina and North Dakota state legislatures on ignoring new federal gun policies, started before the president announced them, and Mississippi Gov. Phil Bryant (R) wants state legislation that would make any “unconstitutional order” on gun policy taken by President Obama “illegal to enforce in Mississippi by state and local law enforcement.” Unlike Bryant, most people in the country understand that the court decides what legislation is “unconstitutional,” not legislatures. Wyoming plans to introduce a bill called the Firearm Protection Act which would allow for the arrest of federal agents who come to enforce federal laws at the state level. The penalty is at least one year in jail and/or $5,000 in fines. Texas plans to follow suit with fines up to $50,000. The conservative Obama-haters are so rabid that they’re even attacking a man who helped the children of Sandy Hook Elementary School on the day of the shooting. After he heard the shooting, he found six terrified children and their bus driver at the end of his driveway. Gene Rosen, a 69-year-old retired psychologist, took them into his house, fed them, and listened to their stories about the massacre and about the teacher who protected them with her body. Conservatives are now calling Rosen a liar for the government and a satanist. One of them even accused him of sacrificing a child in his basement. As a result he has received hostile emails, some of them demanding to know how much he was paid to lie. He is jeered at in restaurants. Tragically, the Sandy Hook “truther” movement is gaining momentum to fight people who call for gun control. The stupidity of these people who think that praying will solve everything and, worse, don’t believe that it actually happened, is only exceeded by their cruelty.